Sekercioglu CH. 2006. Ecological significance of bird populations. 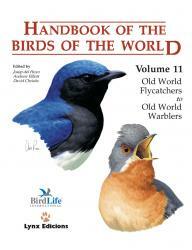 In: Handbook of the Birds of the World - Volume 11. Birds perform important ecosystem functions. Several of these functions are listed that apply to weavers (even though weavers are not listed as examples of these functions), eg seed dispersal (see example news about paper), pollination (see news about review paper), and predation on invertebrates. Sociable Weavers are listed as ecosystem engineers, ie. they provide a nest mass that is used by many other organisms in the environment of the weavers. Not listed in this chapter, but many other weaver nests also provide shelter and breeding sites for other organisms - see some of these examples here (web news item with photos). Granivorous birds are listed as potential agricultural pests, and a paragraph is devoted to the Red-billed Quelea as a problem bird. There are many more functions of birds and weavers that have not been mentioned in this chapter, for instance the nests of Baya Weavers in India provide several useful functions for local communities (read here).